Creating something with your own hands, and using your own imagination is always very rewarding. Settling down to complete any DIY project is always easier if you have everything on hand before you begin. Once you get started, you don’t want to break the creative flow to find whatever you are missing. 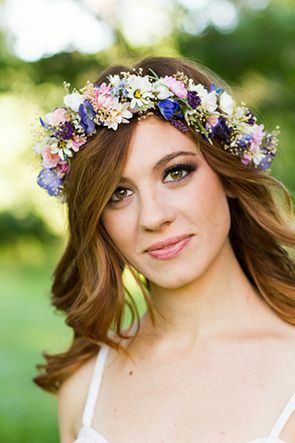 For a Springtime flower crown, daisies are usually the best option. You don’t have to go out and buy them, you can find them growing in open fields, wild, and free. Pick the flowers, leaving the stems long enough to give you something to work with. Start with just three flowers in hand. Braid the stems together as you would your hair. Criss-crossing the stems. Once you have reached a length that equals the size of a flower, add another into the mix and continue braiding the stems. When adding flowers, ensure that the stem lies in line with the centre stem of the already braided flowers. Continue in this way, until you reach the desired length. Once your daisy chain is long enough, finish off the braiding of those stems. Wrap it around so that the ends meet, flower to stem. Tuck the stems into the braided section on the flower you started with. Your tiara is complete. Spring mornings are a glorious time. You can pull on a lightweight outfit, and go outside to enjoy the warm sunshine and brisk breeze. Don’t forget to secure your springtime tiara in place. Nothing screams spring more than adorning your head with bright, fresh flowers. Whether you are wearing a plain outfit or dressing up a little, your flower tiara will make fit well. Walk proudly, head held high, and show the world that spring is your favourite time of the year.